Acme Seals Group. 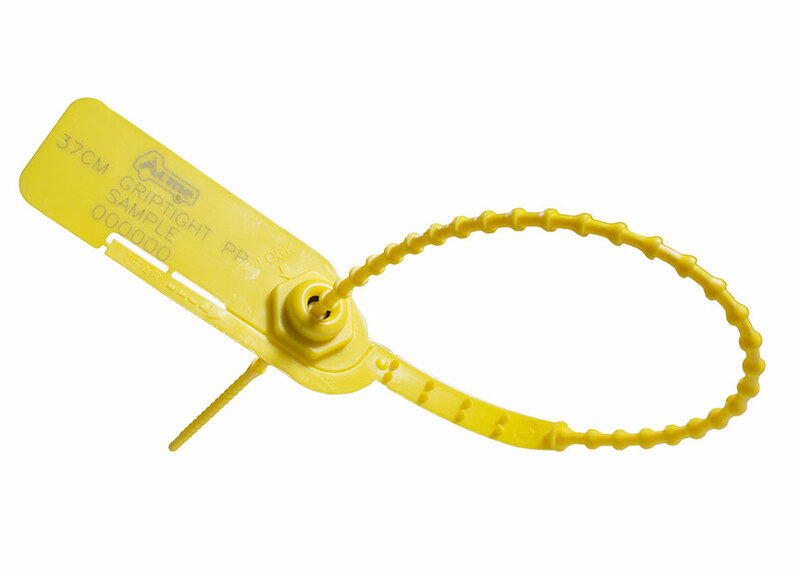 Acme Griptight PP plastic security seal. The Acme Griptight PP Seal is a versatile pull-tight seal manufactured from two dissimilar materials. The acetyl insert is unique in design as it incorporates two sets of locking teeth moulded in one insert, unlike similar seals requiring two separate inserts. The material will withstand freezing and boiling conditions, whilst the polypropylene body is flexible for easy use. The design includes rolled heat staking technology to secure the insert to the body, which provides clear evidence of tampering if forced open or cut. Refineries, Containers, Postbags, Fire doors, Lockers. Foil: red, blue, green, yellow and orange, black, white. Other colours may be available on request. Do you know that you can customise our products by imprinting your company logo on to our seals? No. 10, Jalan BP 4, Bandar Bukit Puchong, 47120 Puchong, Selangor Darul Ehsan, Malaysia.